Drawing on in depth institutional knowledge, hundreds of case studies, and scores of internal and external reports and evaluations, Bruce Rich paints a picture of a Bank still inflicting suffering on disenfranchised and vulnerable populations. His negative assessment of the Bank’s first year under its new president Jim Yong Kim leaves Rich calling for real leadership so that the Bank can learn from experience rather than flee from it. These words were written by Dr Jim Yong Kim, who assumed the presidency of the World Bank in July 2012. Kim’s words in the book he co-edited, Dying for growth, were all the more disquieting in that they came the better part of a decade after the 1992 Rio de Janeiro earth summit, the landmark UN Conference on Environment and Development. In Rio, 118 heads of state and numerous international development institutions, such as the World Bank, made wide-ranging commitments to address global environmental issues while helping the poor. Now scientific evidence shows that the global economy has put the entire global climate system at risk, as well as the planetary web of biodiversity and life forms. The environmentally unsustainable development that the Bank has continued to finance is contributing to a global ecological debt that is now foreclosing on the future of human societies. The Bank’s failures to confront the environmental challenges of economic development illuminate the political failures and hypocrisies of most of the governments of its members. In the second decade of the 21st century, the World Bank is no longer as financially influential as it once was. The growth of international private-sector finance, and of global public lending institutions in newly industrialising nations, such as China and Brazil, mean that the Bank has now become just one financial player amongst others. But the Bank remains critically important. It continues to put itself forth as an intellectual and policy leader for economic development in the UN system and in the global economy at large. The Bank Group – in the face of growing protests over the social and environmental impacts of its lending and threats of funding cuts from the US Congress – set up in the 1990s independent accountability mechanisms (the Inspection Panel and the Compliance Advisor/Ombudsman) to review complaints by affected populations that it was not following its own environmental and social safeguard policies. These institutional innovations were adopted by other multilateral development banks and even several export credit agencies. More recently, the richer countries chose the World Bank to administer most of the new funds they have contributed to address climate change in developing nations. Still more important is the ecological impact of the activities financed by the Bank Group’s core lending and finance, which has averaged over $50 billion annually in recent years. The Bank’s role in climate and energy finance is arguably the most critical and intractable development issue facing the Bank and the world at large as global warming accelerates. The Bank’s contradictions and failures in this area mirror those of its member countries as well as the failure of the international system. Over the past decade, as rich countries gave the Bank extra billions to fight global warming, it actually increased its core lending for giant coal power plants and oil development, including two of the 50 biggest new single sources of greenhouse gas emissions on earth. Since the early 1990s the World Bank has also played no small role in promoting a one-sided economic globalisation that has liberalised markets and unleashed capital flows. One particularly corrosive effect of this globalisation agenda has been a disproportionate growth of corruption in developing nations, resulting in massive outflows of stolen funds from even the poorest countries, laundered through proliferating international tax havens. This corruption is undermining not just the Bank’s environmental performance, but international development efforts across the board. Hearings of the US Senate Foreign Relations Committee found several years ago that as much as 30 per cent of the Bank’s lending may be corrupted by its borrowers, abetted by major banks, corporations, and the global web of money laundering centres. Yet the World Bank Group, and particularly the International Finance Corporation (IFC), the Bank’s private-sector arm, habitually supports companies that use off-shore tax havens such as the Cayman Islands and Bermuda. A 2011 independent Danish study found that 57 per cent of all IFC extractives projects for which data was available were routed through tax havens. Many of the Bank’s problems are associated with a dysfunctional institutional culture in which the relentless pressure to move money out the door, even in violation of the Bank’s own polices and rules, often overrides all other considerations. What is remarkable about this “loan approval culture” is how well documented it has been for decades through reams of internal Bank reports, and how little the Bank’s management, and member-country governments have done to effectively change it. Even former US Federal Reserve chairman Paul Volcker was no match for these dysfunctional bureaucratic priorities. In September 2007, Volcker told UK newspaper the Financial Times that there was “ambivalence in the Bank as to whether they really want an effective anti-corruption programme or not.” In a Bank-commissioned report, Volcker contended that despite the Bank’s proliferating internal reviews and evaluation units, “a strong focus on managerial and institutional accountability is absent.” This situation continues today. Internal Bank studies provide an unparalleled insight into deep-seated, continuing institutional problems that undermine, and at times cripple, the Bank’s effectiveness. For example, following the 1992 earth summit, the Bank strove to improve its environmental performance and to increase lending for environmental projects. But at the same time internal Bank evaluations revealed a record of poor results and continual failure to “mainstream” environmental concerns into its operations. More than a decade and a half later, in 2009, internal Bank evaluation studies revealed that consideration of environmental concerns has actually decreased since the turn of the millennium, despite a 2001 environmental strategy that decreed that the Bank would finally mainstream environmental concerns into all of its lending. 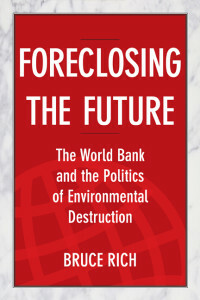 Momentous debates over environment and development, and well-publicised efforts to reform the Bank, took place under the presidency of James Wolfensohn from 1995 through 2005. In the face of growing controversies over World Bank financing of large dam, mining, and oil projects, Wolfensohn convened unprecedented reviews such as the 2000 World Commission on Dams and the 2004 Extractive Industries Review, that involved the Bank, industry, civil society, and borrowing governments in an attempt to reach consensus on both the Bank’s future role in supporting such activities and on good practice for any future investment. Unfortunately, Bank management and borrowing governments rejected many of the recommendations presented in these reviews. The Bank continued financing ecologically destructive and socially disruptive large infrastructure and extractive industries, and had little to show for its attempts to improve their environmental and social performance. The Bank’s 2000 subsidisation of the ExxonMobil-led disastrous Chad-Cameroon oil development and pipeline project, and its 1999 support for the extractive multinational Newmont Mining in the Peru Yanacocha gold project were the kind of lending priorities that a younger Kim found so objectionable in 2000. Wolfensohn was the first Bank president to publicly raise corruption, but his efforts to control this proved ineffective. During his tenure, the Bank also increasingly subsidised the private sector through the IFC. As his second term drew to an end, the pushback from Bank management and borrowing governments grew against the Bank’s environmental standards, and even against stronger fiduciary safeguards. The brief and tumultuous tenure of Paul Wolfowitz ran from 2005 through 2007. Wolfowitz’s efforts to crack down on corruption were met with strong opposition from the Bank’s member countries. Controversy over the Bank’s financing of large dams continued, and evidence of how corruption undermined Bank development goals became more public. The tenure of Robert Zoellick, from 2007 through June 2012, saw an accelerated move away from lending for specific investment projects to large loans to governments, government agencies, and private financial institutions for budget support or for general investment programmes. By the end of his tenure, nearly half of Bank lending to governments and two-thirds of IFC support for the private sector was for such ‘non-project’ lending, despite the requirement of the Bank’s charter that it lend, and guarantee loans, only “for specific projects … except in special circumstances.” The traction of the environmental and social safeguards and of the Inspection Panel and the CAO were weakened on such loans. Zoellick’s priorities reinforced the “loan approval culture” that had undermined the quality of Bank operations for decades. Zoellick gave still greater priority to the operations of the IFC, despite both its appalling record in continuing to finance environmentally and socially destructive extractive industries. Internal evaluations that found that the vast majority of IFC projects between 2000 and 2010 had no focus on poverty alleviation – supposedly the World Bank Group’s core mission. The arrival of Kim at the Bank reveals a disconnect between, on the one hand, his enthusiastic commitments to “end poverty” and to increase the Bank’s focus on fighting global warming, and, on the other hand, the Bank’s deep-seated institutional problems. These problems continue to undermine its purported goals through the pressure to lend and the growing marginalisation of the Bank’s hard-won environmental and social safeguards and standards. Kim, who little more than a decade before vehemently criticised the Bank and the IFC, has reaffirmed the IFC as a model for the rest of the Bank. In recent years environmental and social conflicts have plagued IFC extractive projects in Peru, Mongolia, Colombia, South Africa and West Africa. In September of last year, for example, Kim effusively praised the local work of the IFC in South Africa only three weeks after the worst massacre since the apartheid era where 34 striking workers were shot to death at the IFC-supported South Africa Marikana platinum mine. Most of the victims were migrants who lived in insalubrious shanties and shacks, despite IFC support for corporate social responsibility and community development built into its $200 million investment in the London-based Lonmin corporation, the world’s third largest platinum miner: Nobel Peace Laureate Archbishop Desmond Tutu denounced the “Marikana nightmare”. If the Bank is to play a more positive role it must finally change its own internal incentives to focus less on moving money out the door and more on developmental and environmental quality. To remain relevant, it should focus, as a 2007 internal evaluation report urged, on becoming a “beacon” of best environmental, social, and anti-corruption practice. Trying to compete with other lenders in quickly moving money out the door to countries that can borrow elsewhere is a losing game. In many situations strengthening governance must come first, with the Bank designing interventions in a sequenced fashion: where institutions and the rule of law are weak, they must be built up before committing billions to ambitious schemes. The issues and policy conflicts we find in the World Bank reflect a wider battle going on throughout the world, a battle for the kind of global society that future generations will inhabit. The basic question is whether worldwide economic activity can be embedded in rules and standards that can be agreed on and enforced. Such rules and standards would be founded on commonly shared ethical principles that human societies recognise as having priority over short-term, parochial economic goals and incentives. The proliferation of global and local environmental crises forces us to recognise that an ethic for long-term human well-being will have to be grounded in respect for all life. Such an ethic is a work in progress, but for the World Bank to make a greater contribution it will have to learn from its experience rather than flee from it. The world can ill afford institutions that have built amnesia into their bureaucratic DNA. 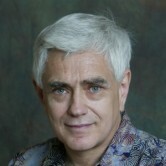 Bruce Rich is an attorney and author who has worked for many years with major US environmental organisations on international development and finance issues. 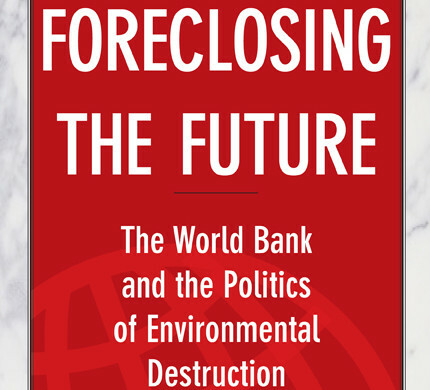 His new book Foreclosing the future examines the World Bank Group’s environmental and social track record over two decades.